Mix butters, margarine, egg, vanilla and sugars together. Add soda, powder and salt. Mix in flours. Roll into 1-balls. Roll in white sugar. Bake at 350 F for 8 - 10 minutes. Cookies will appear slightly puffed and light coloured. Remove from oven and let sit for a couple of minutes, then remove to baking racks to cool completely. 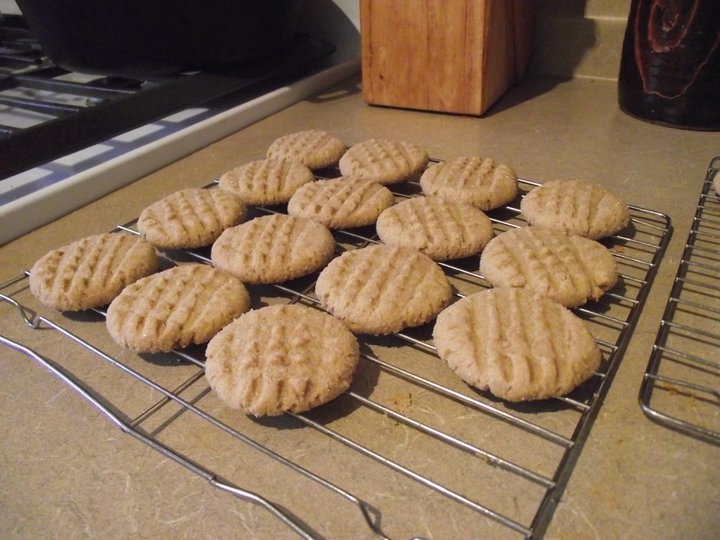 These cookies have a delicate texture and still taste like peanut butter cookies.